In the end, an Ashes victory for England by a margin of three Tests was pretty much what many fans from both Australia and England had expected. Yet, though the margin might suggest a fairly one-sided series, the visitors had enough moments to indicate that the return leg would be much more competitive. It is fair to say that contrary to the beliefs of most cricket pundits before the series got underway, Australia were thoroughly outplayed in just one of the five matches, it being the second Test at Lord’s where a shambolic first innings batting display resulted in a 347-run thrashing for Australia. Otherwise, Michael Clarke’s men were almost neck-to-neck with England, having golden opportunities to win as many as three Tests. In the opening Test at Trent Bridge, Ashton Agar’s sensational 98 on debut nearly condemned England to defeat before the exploits of Ian Bell and James Anderson helped their side eke out a nerve-wracking 14-run victory. In the third Test at Old Trafford, Australia almost staged a turnaround after the shellacking at Lord’s – they were denied a deserving win only because of the notorious Manchester weather. In the fourth Test at Chester-Le-Street , Australia put behind the disappointment of the Ashes being sealed after just three matches with another strong performance, until a frustrating collapse to Stuart Broad put paid to hopes of squaring the series. Australia’s primary, and perhaps only, strength coming into the series was their impressive pace attack. And in this regard, they repeatedly gave evidence of their ability to run through established top-orders. Peter Siddle was his usual tireless self, while the return of Ryan Harris was a big boost to Australia, and his haul of 24 wickets in 4 matches – bettered only by Greame Swann – was one of the few stand-out features of Australia’s luckless campaign. 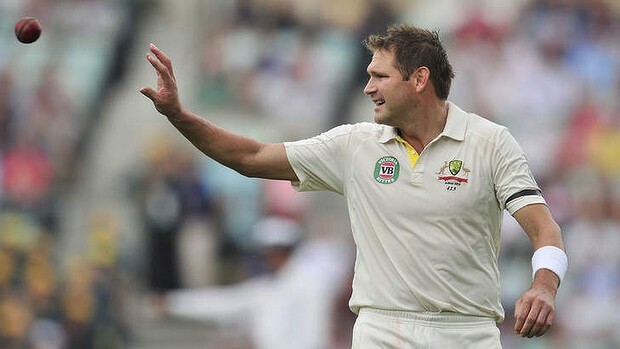 Harris averaged just 19.5 and struck at 40.5 – making him the best fast bowler of the series, overshadowing James Anderson, who took 22 wickets in 5 matches averaging nearly 30 and striking at 56. If fully fit, he can prove to be Australia’s trump card in Round Two. That Australia’s fast bowlers held an upper hand over England’s top three is shown by the numbers. Joe Root averaged 37.66, which drops to 19.9 if you remove his gutsy 180 at Lord’s. Captain Alastair Cook never really was his own self, averaging only 27.7 as against 127.66 in the 2010-11 Ashes. Jonathan Trott, who batted at the crucial No.3 position, was no better, averaging an ordinary 29.30. Fortunately, the shortcomings of the top three were camouflaged by the wonderful form of Ian Bell, who topped the run-charts with a tally of 562 at 62.44 with three hundreds to boot. It would not be an understatement to say that had Bell not performed the way he did, Australia would have been celebrating a historic victory instead of England. Sample this – Bell’s three hundreds all resulted in English wins, and not only that, he actually was the main reason why England managed to secure a 3-0 scoreline. First up at Trent Bridge, Bell scored a patient 109 in the second innings after Australia had got a surprise first-innings cushion of 65. 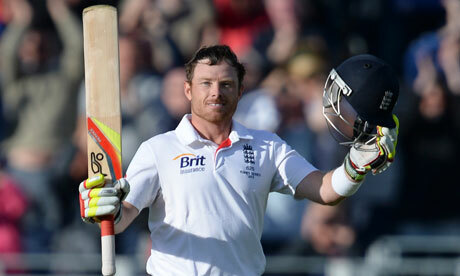 He was at the crease for nearly 90 overs, and by the time he was out, England had stretched their lead beyond 300. In the second Test at Lord’s, England were reeling at 28/3 on the first morning when Bell strode in. Again he scored 109, and again he steered his side to a dominating position which ultimately resulted in a crushing win. In the fourth Test at Chester-le-Street, Bell came in when England were three down and only 17 ahead in the second innings. He went on to bring up yet another century, this time a knock of 113. While Anderson, Swann and Broad deserve credit for their bowling feats in the first, second and fourth Tests respectively, it was Bell who laid the foundation in each of these wins, and was clearly head and shoulders above all batsmen from either side. England did have a chance to win the series 4-0 had it not been for a controversial decision by the umpires to take off the teams citing bad light in the final Test at the Oval. But this incident was nothing compared to the issue of DRS which dogged the series throughout, so much so that the avoidable howlers at times overshadowed the actual cricket on display. As I had mentioned in an earlier post, the responsibility of the DRS should lie entirely in the hands of the umpires and the system of limited reviews should be done away with. If this series does not prove to be an eye-opener for the ICC, nothing will ever be. Clarke, who won accolades for his captaincy at the Oval, must be pretty happy with the kind of support he at times got from his fellow batsmen. 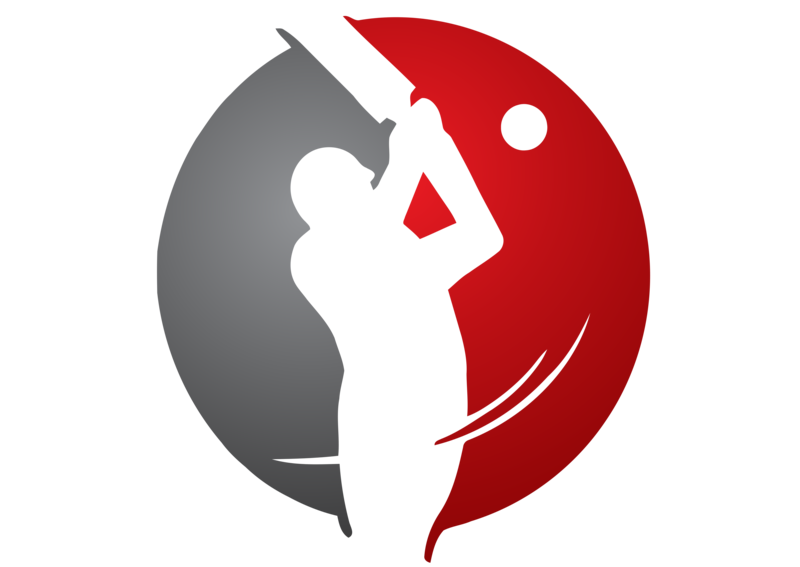 After a forgettable start to the series, Shane Watson ended the series as the second highest run-scorer after Bell, while Chris Rogers and Steve Smith too staked claim for a permanent spot in the Australian line-up, which is undoubtedly looking a bit more settled than what it was before the series. However, as it happened, three extremely poor performances by the batsmen – the first innings at Trent Bridge and Lord’s and the second innings at Chester-le-Street – ultimately cost them the series. For England, except for Bell, no batsman will feel that he has performed to potential in this series. As for Cook, his captaincy has often been described as too defensive and his team’s approach too conservative, but as long as they are winning Test matches, I think English fans have no reason to complain. Those with a short attention span always have the option of watching any of the myriad Twenty20 leagues. England surely deserved to celebrate after their series victory, but what followed a few hours after the Oval Test ended was disgraceful. A few of the English team proved how arrogant they are by shamefully urinating on the pitch of the oldest Test ground. Among those who were involved in the act were two of the best cricketers of our times – Kevin Pietersen and James Anderson – and also Stuart Broad, incidentally the son of an ICC match referee. Hopefully the concerned body does not overlook this ‘celebration’ and takes necessary action for the incident which has insulted the traditions of the game. Over to Australia in November now, where I am sure a much more competitive series will unfold. Unless Cook the batsman decides to do a repeat of his last visit to Australia.